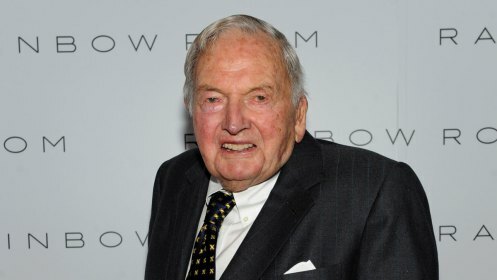 The Rockefellers financed the creation of the CFR. Moreover, local, rather than federal, officials administered this welfare, since they were more likely to know the particular needs of recipients and could distinguish between the deserving poor (the disabled and involuntarily unemployed) and the undeserving poor (those capable of work but preferring not to). Reuters Sounds the Invasion Alarm Ahead of EU Review of Russia Sanctions . . . AMAZING!!! Again, this is how they operate! Bill C-51 is reckless, dangerous, ineffective, and a threat to our basic rights. 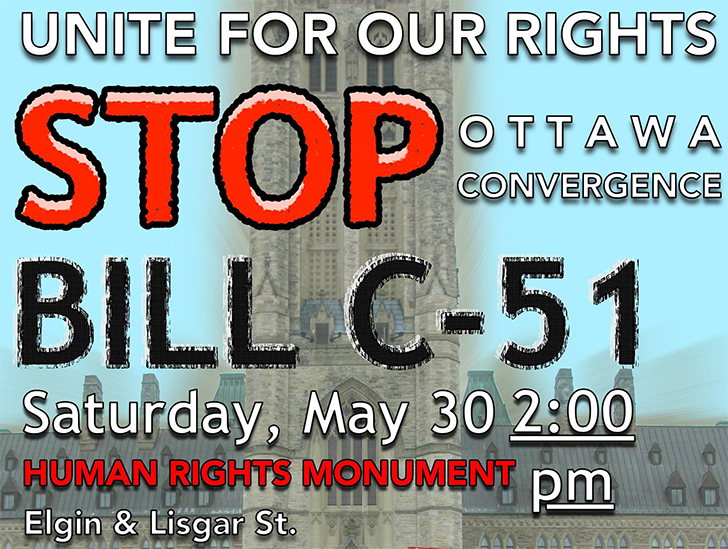 Join the National Convergence in Ottawa on Saturday May 30 and local events across the country as we pile on the pressure to stop this reckless legislation. Join us in putting forward our own crowdsourced positive agenda to protect our privacy and civil liberties in the 21st century (https://PrivacyPlan.ca) Bill C-51 lacks legitimacy and it’s time to show what a plan that embraces democracy looks like. Bill C-51 is in a crucial final phase in the Senate. The bill is up for its final vote in early June so now is the time to make some noise. true justice is seeking reconciliation and not retribution; absolute power corrupts absolutely; how many people would remain ethical given the same position of power? Our ‘lawful’ government was sometimes operating unlawfully before 1862. When Lincoln activated troops in Maryland in order to stop its legislature from making decisions about Maryland’s status to be in the North or South, before a congressionally approved declaration of war, it was an unlawful act; he should have been hung as a traitor. There is no presidential power authorized by the constitution to take any action to stop a sovereign nation (State) from seceding from the Union. He also transgressed posse comitatis. TheInternational Tribunal for Natural Justiceis hereby established by thisProclamation, and by Mandate of the Peoplehaving ratified theITNJ Treaty, on this the 14th Day of February 2015, in memory of St Valentine who died defending the natural rights of the people this day over 1700 years past. This will inevitably be eradicated as a result of the charges against the corporations– as Karen Hudes said, the cleansing action will blow us back to the “Stone Age” in that an immense amount of regulatory law will be invalidated and good Amendments will be thrown out with the bad. This is the result of the festering wound of the Civil War never being cleaned and cauterized in the first place. It is important to understand that everything we now face is the result of graft and incompetence that has been ongoing ever since the Civil War– we have 150 years worth of sludge and pus to drain out of our government system. The coming Capital Controls are designed to protect the banks from YOU! Of all the peculiarities about human nature, one of the most interesting in my opinion is that we’re so resistant to change. Humans simply don’t deal with it well. We tend to root. We find comfort in familiarity. And, even when the familiar becomes unpleasant, we still put up with it. We prefer to suffer through something that we know rather than change things and risk the unknown. This is why people stay in bad relationships. Or why they continue working for bosses they dislike at jobs they despise. It’s the fear of change. But everyone… absolutely everyone… has a breaking point. It’s a point where the status quo becomes so uncomfortable, so painful, that we snap. And walk away. It’s the same in finance. People stick with what they know, even if they have to endure a little pain and suffering. The British Royals exposed in Fraud? The Queen Defrocked? 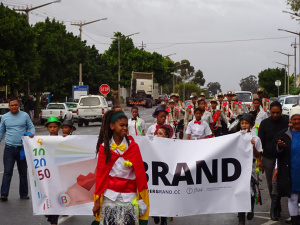 As many know, and likely participated in, there was a worldwide uprising on Saturday for the planet, and in opposition to the large GMO corporations, mainly Monsanto. This RT article has a lot of information, although I’m not sure if all the Twitter posts will show up. Go to the original article for those if necessary. Here is another article, from Collectively Conscious. There is also a FaceBook page for the Saturday’s march. I’m sure you can find tonne more other places.